As technology advances at an ever more rapid rate, so do automobile safety systems. Compare the AcuraWatch™ vs. Lexus Safety System+ to find out how each can make Melville commutes easier and Syosset highways safer. The AcuraWatch™ safety and driver-assistance suite is comprised of a set of four core features: Collision Mitigation Braking System™, Lane Keeping Assist, Road Departure Mitigation, Adaptive Cruise Control (with Low-Speed Follow). These features are standard in the TLX and RLX sedans, and the RDX and MDX SUVs. However, these four are the only features included in this driver-assistance suite. If you are considering a new luxury SUV in Plainview, get a closer look Acura RDX safety and Acura MDX safety features, then take a look at more Acura vs. Lexus comparisons, like the Acura MDX vs. Lexus RX and the Acura TLX vs. Lexus ES. 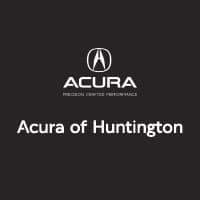 Contact us at Acura of Huntington with any questions!